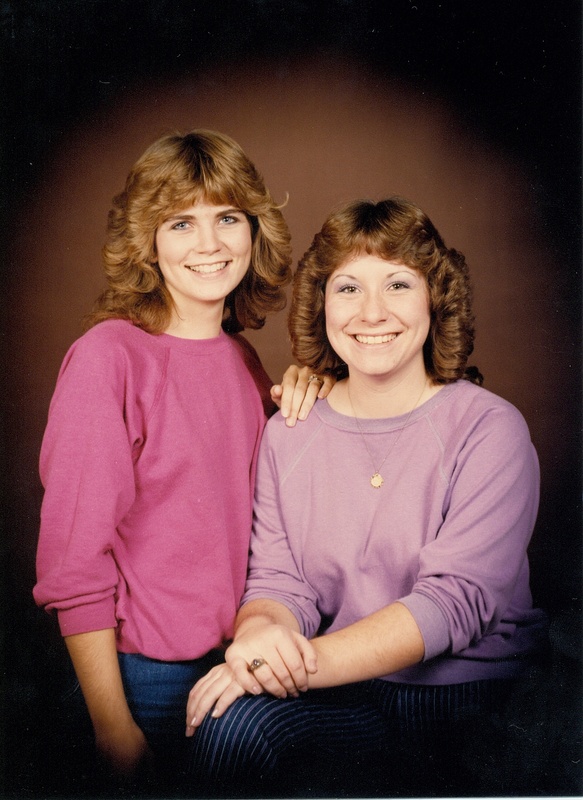 We all have funny 80s hair pictures! What were we thinking back then? Love the story! Sorry about your friend, Cheryl, Paula. Looking at your photos brought back memories. 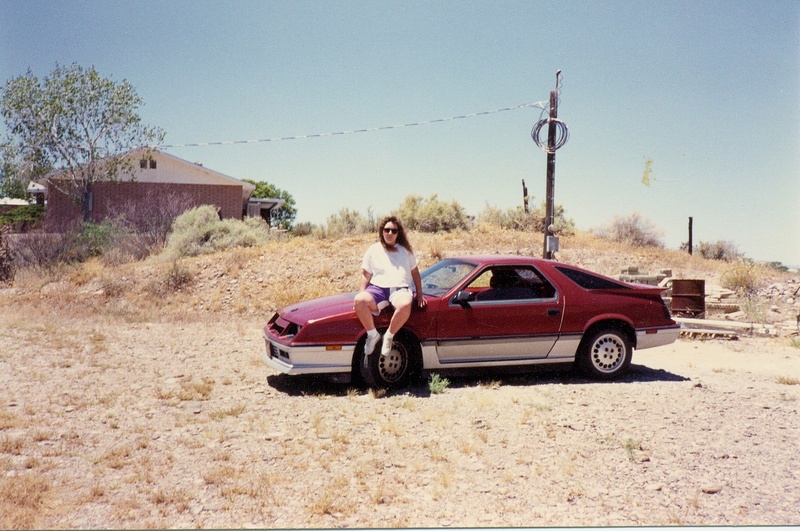 I used to whip around town in a little Chevy Monza with my radio blaring as well. Fav tune: Golden Earring’s Twilight Zone. That was the driving jam! And it still is cranked! I’m not sure if the 100 km in half an hour is correct but, if it is, that’s 200kph or 122 mph!! (Maybe she meant 100kph or 62mph – at least I hope so). 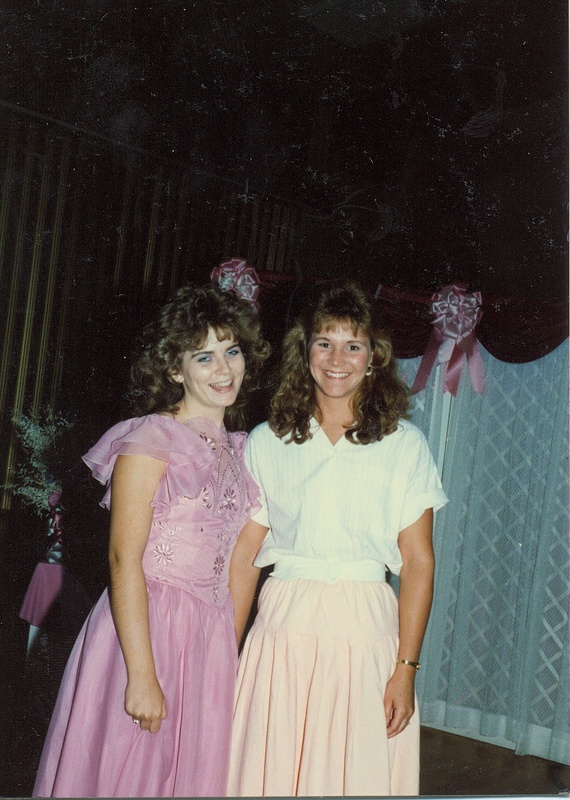 Loved seeing the photos of you from high school. And that song is a rocker. It’s added to my list, now. Also, a great tribute to friendship, Paula. Makes me smile. Even though it seems that you’ve lost a lot of close people to you in the past several years. I’m sorry about Sheryl. It’s beautiful that you have so many great memories, though. I know… I was just actually realizing that myself, that a lot of people I love so much are gone now. So I am very thankful for all the beautiful memories! 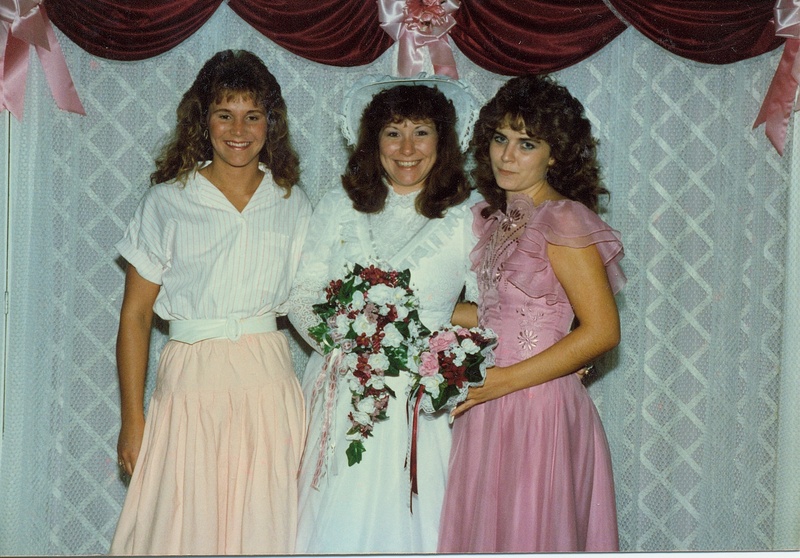 I was getting married in 85 . . . So sorry for the loss of your friend. I have yet to lose any friends, knock on wood. 85 was a great year! Life began at that time! You are very fortunate not to have experienced people loss yet, although the fur-kid loss is super hard!! Yeah, the car was great back in the day, hehe! Oh, I’ve experienced family loss — but not immediate family: all my grandparents, all my aunts & uncles. But no friends. I guess there’s an upside to having a small circle of friends! I’m sorry to hear that, I bet you miss her. She sounds like she was a lot of fun! That song…what memories! Thanks Antonia! I do miss her, but yes, great memories! Great memories. You are lucky to have known her. Sorry for your loss. I am had many friends with cancer but so far no losses. 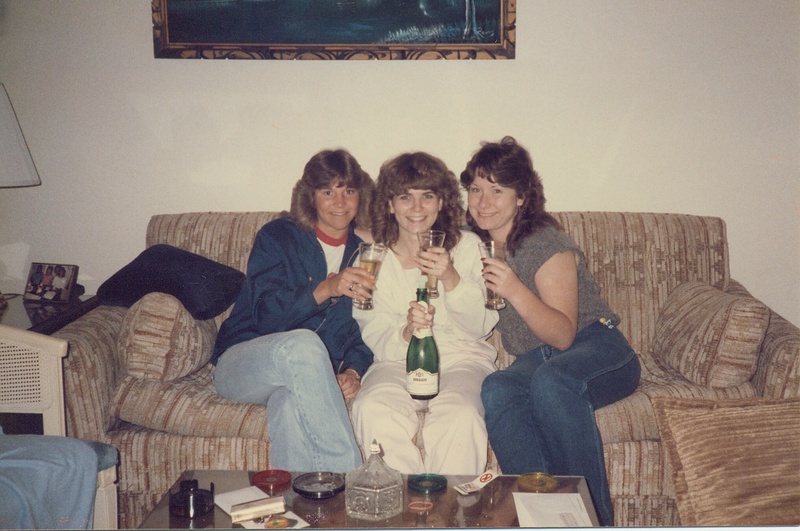 You gotta love the 80’s: the hair; our clothes and especially the music!! 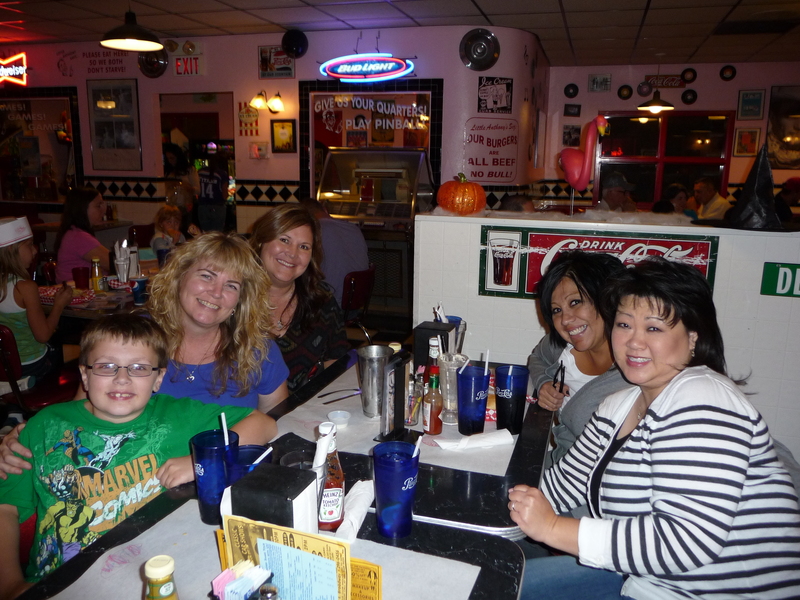 Thanks for sharing wonderful memories with us Paula. Thank you!! I’m so glad you enjoyed!! Hehe, thanks Janet. It won’t be long now that AJ will be that age… ack!! What a lovely story, I am sorry you lost your Friend, she was obviously far too young to die. Please don’t take this the wrong way, but the photographs you all look so American, so glamorous, just as here in the UK one would imagine American girls to look. How wonderful that you still have such a close friendship with Mindy. Love the car, bet “you did burn some rubber”. Thats brilliant, he is not far from here then, and must know Clacton-on-Sea in Essex where I am. Take care poppet. Man oh man, I must be your demographic as relates to readership: the Great Hagar, a Dodge Daytona, and the 80’s all in one blog – nicely done! Makes me want to grow a mullet – though I’m bald, so, hey, better not. Thanks for the nice memories….I’ve got a few 80’s memories myself…and, yep, I just read somewhere else: “nostalgia” means “to know pain” – Guess we gotta just keep on rockin’! Oh absolutely! But it was so hard accepting Sammy as the new lead… until they had mega hit after mega hit! Then, and only then, could he be the new face of VH, hehe! Love it! Those are some precious memories. I had to laugh at the ‘Olan Mills’ friend pictures that we used to have made back in the day! BTW, Paula, you have some of the prettiest eyes I’ve ever seen 🙂 I bet you get that alot! Thank you so much for the huge compliment Gwin! The eyes are the windows to our soul, so that means a lot to me! Lovely to hear about your friends and see the photos! I love the fact that Years have gone by, and yet my school friends, no matter what happens, are still the same characters as there were years ago…… love and friendship. So important, but you don’t really realise it whilst you are making those friendships! I’m so sorry that you had a friend who died. I’d miss any of my friends greatly.